Upper Overlook Trail to Re-open October 20th! The Sonoma Overlook Trail Stewards and the City of Sonoma are delighted to announce that the upper part of the Sonoma Overlook Trail will reopen Saturday, October 20, 2018. Please join volunteer Steward Jeni Nichols on a hike that morning, at 10am. Meet at the Overlook Trailhead parking lot. The lower part of the trail must remain closed through the winter to allow the newly disturbed soil of the re-route to be properly compacted. See the map for a illustration of what is closed. 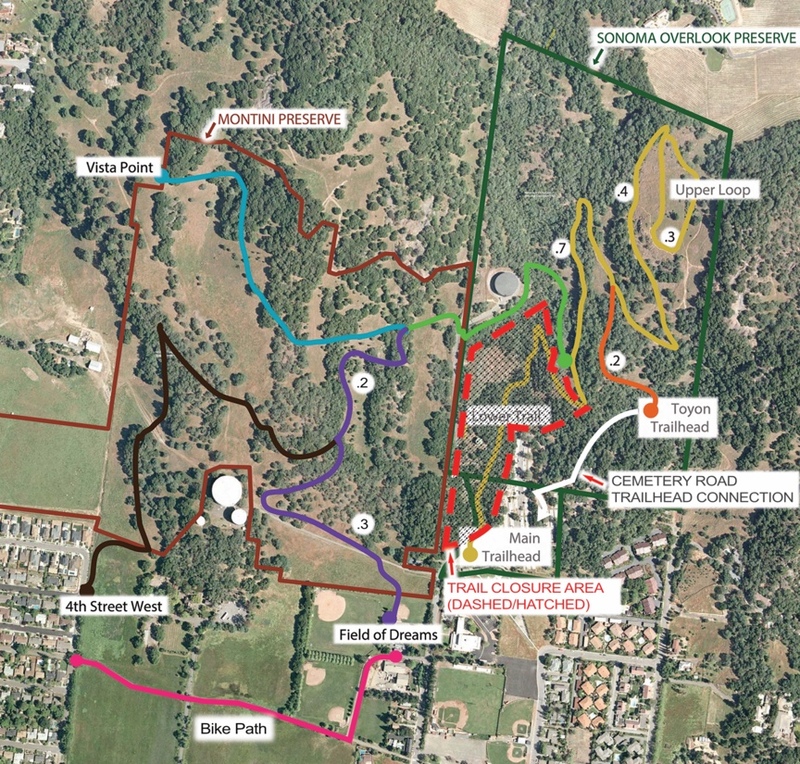 As of the 20th of this month hikers can enter the Overlook Trail from the Toyon trailhead (either walking or driving up to the trailhead in the Cemetery), or via the Rattlesnake Cutoff Trail from Norrbom Road or the Montini Preserve. See the City of Sonoma Press Release for more information.